Do you enjoy earning extra money from taking surveys? 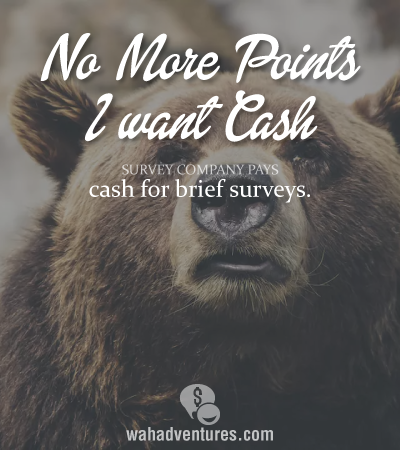 Do you believe that surveys should pay cash and not prizes and points? Do you like “short and sweet” surveys that don’t go on forever? Then Paid ViewPoint might be something for you to look into. What Exactly is Paid ViewPoint? Paid ViewPoint is a marketing research survey site, where interested individuals go to create an account to take surveys. Paid ViewPoint is powered by Ask Your Target Market, a survey and marketing platform, which caters to entrepreneurs needing to find information on their target market. Membership is free. After you do sign up for an account, you will be asked to verify both your email account as well as your phone number. The traits survey is actually a patent-pending system called TraitScore, which was developed to help evaluate the candor and consistency of the survey participants. It basically asks you about your feelings/moods/characteristics for that day and is an algorithm for how trustworthy you are with a survey. Once your TraitScore reaches 9000, you will get paid more for taking the surveys. How is Paid ViewPoint Different From Other Survey-Taking Sites? You should be paid cash for every answer and every survey. You should not be screened out once you have been invited. You should not have to be bored while taking surveys. You should never be asked for your real name or physical address. 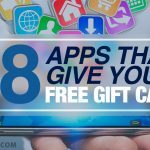 Does Paid ViewPoint Have an App? Paid ViewPoint does NOT have an app, but you don’t need one to be able to pull up the survey on your cell phone. Just follow the link in your email, and you may take surveys while on the go! Or you can relax at home with your laptop and favorite cup of herbal tea and just log into your account. Whether you are using your laptop or phone to take surveys, Paid ViewPoint uses Google Chrome, Internet Explorer 8+, FireFox 3.6+, Safari, and Opera as browsers. How Much Money Can You Earn With Paid ViewPoint? Of course, the money made with Paid ViewPoint will vary from survey to survey. Most surveys are between 5 to 6 minutes or less and can pay between $.03 to $.10 for completion. You will be using a dropdown menu or “sliding scale” to answer the questions, so no need to type lengthy answers. Once you reach $15, you may cash out via PayPal. 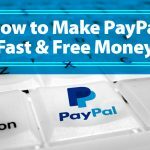 Usually, the money will hit your PayPal account within 72 hours. You will receive email notifications when you can cash out as well as notifications via email, text or phone when there is a survey for you. You will also receive notifications when there are other trait surveys to take as well. Does Paid ViewPoint Allow Survey Participants From Countries Other Than the United States? Absolutely! There are 114 participating countries outside of the United States. What Do I Think of Paid ViewPoint? I don’t think anyone will break the bank working Paid ViewPoint, but I do think it is a side egg to enjoy. The surveys really are short and easy to complete. What Do Others Think of Paid ViewPoint? As always, opinions seem to vary. A link has been posted below for you to read the reviews for yourself. Overall, most of the views were favorable with the only real complaints being that the surveys do not pay much, and sometimes when you change your PayPal account it can take months to cash out. Other than that, some reviewers even stated that it was one of the “better” survey sites. Does Paid ViewPoint Have a Referral Program? How Do Interested Individuals Sign Up at Paid ViewPoint? Go to the website and sign up. Remember you will even get paid to register and complete your first trait survey. I’ve tried this survey site and I gave up on it because it wasn’t worth my time. I have to say living in Canada doesn’t help at all. The trait surveys paid $0.03 and even after I reached the maximum — I think it was 10,000, I didn’t get the other surveys that paid more. I just kept getting trait surveys for $0.03. I heard people who live in Canada wouldn’t get higher paying surveys because there wasn’t a market for Canadians or something like that. I forfeited my $9 or whatever it was because I couldn’t be bothered with it. I think I was hitting on close to a year with them. If you live in Canada, this is what you’re up against. Other than that, it’s probably great for people who live in the US. I’ve been using this panel for 2 or 3 years now, they’re great! They always pay so fast and the surveys are short and easy. I love Paid Viewpoint! It does take a little while to reach the $15 payout, but it’s so nice never getting disqualified from a survey and receiving your money super quick once you request it. The surveys are great to do while watching TV or waiting for an appt. I’ve just started myself. You are absolutely right. Quick and fun. 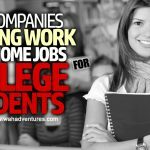 I have been working for home for the past three year and the very first online job that I made money of was by taking surveys online. I would highly recommend taking an online job filling out surveys. 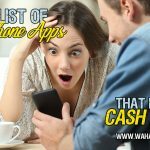 Its so easy to get started and everyone with a computer can earn an income by working for these market research companies. All your need is an opinion. @Brian – I agree they are nice side eggs to have! Thanks for commenting. @Brian – Just curious! How many do you work for? You can definitely work more than one. 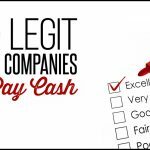 I was lucky enough to find a company that toke care of market research for many different businesses, what this businesses did was outsource their market research to the survey company I worked for, the jobs were updated daily and if you were on the ball you could obtain the best paying survey jobs. 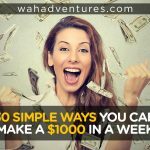 I think the best way to start is to do your own research on work from home forums and blogs so that you end up with a releasable payment for the work you put in.